Nearly one million visitors came to pay tribute to Hung Kings and other ancestors who founded the country at the Hung Kings Temple Relic Site in the northern province of Phu Tho during the 2018 Lunar New Year (Tet) holiday. 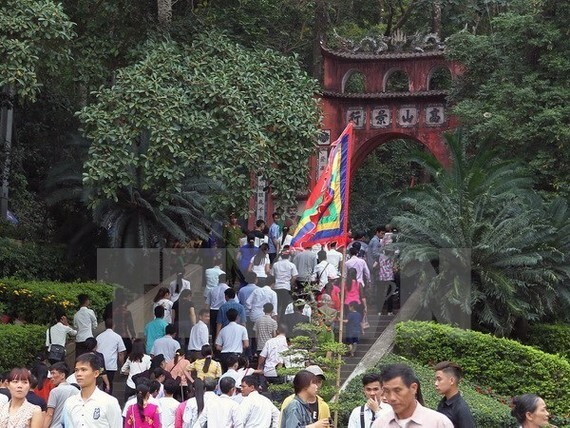 Director of the Management Board of the relic site Nguyen Duy Anh said the surge of visitors was attributable to favourable weather during the seven-day holiday, which fell on February 14-20. The Management Board has worked to ensure safety for tourists and restore some worshipping places, as well as arrange personnel providing guidance for visitors, he added. Vice Chairman of the provincial People’s Committee Ha Ke San said that the annual festival honouring the Hung Kings will be held in the province between April 21 and 25 (the 6th and 10th day of the third lunar month). 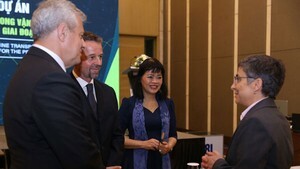 The festival this year will be hosted by Phu Tho with the coordination of four other provinces, including the northern province of Thai Nguyen, the central province of Quang Nam and the southern provinces of Binh Duong and Kien Giang. An incense offering ceremony will be held at the Den Thuong (Upper Temple) on the death anniversary of the Hung Kings (April 25). Various activities will take place during the festival like a chung (square cake) making contest and preparing giay (glutinous round) cake; local delicacies exhibited at a fair and art shows. The event will also feature performances of Xoan singing, which has recently been recognised as UNESCO Intangible Cultural Heritage of Humanity. The Hung Kings founded the first nation in the history of Vietnam, called Van Lang, in Phong Chau (now Phu Tho province). Ruling the country for 18 generations, the Hung Kings taught the people how to grow wet rice. They chose Nghia Linh Mountain, the highest in the region, to perform rituals devoted to rice and sun deities to pray for lush crops. The worshipping rituals of the Hung Kings are closely related to the ancestral worship traditions of most Vietnamese families, an important part of people’s spiritual lives. The worshipping ritual of the Hung Kings was recognised as UNESCO Intangible Cultural Heritage of Humanity in 2012.